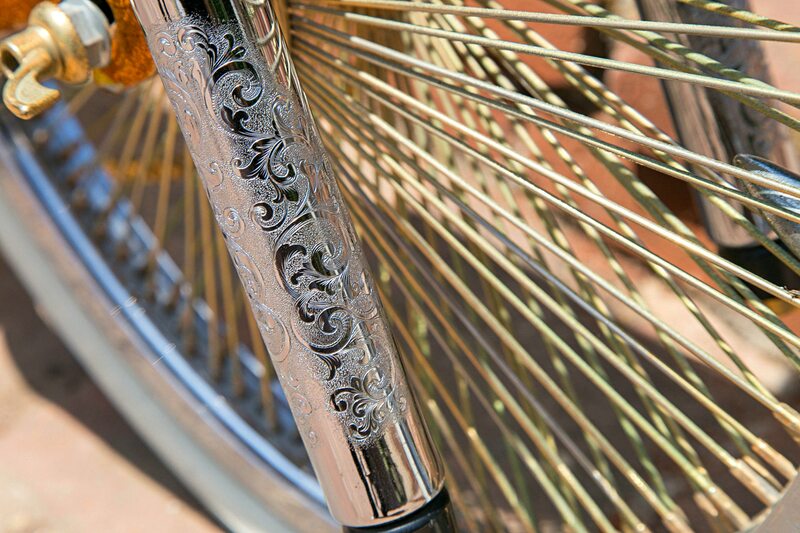 They say everything comes back in fashion. 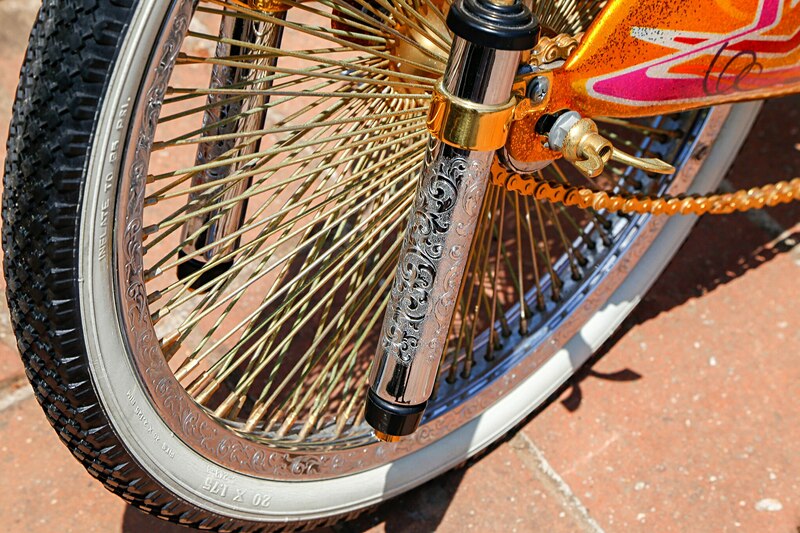 These days, that definitely seems to be the case. 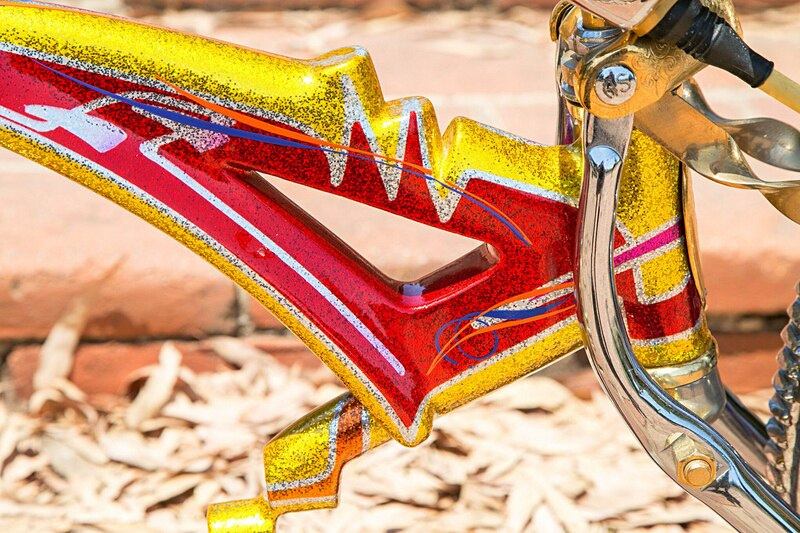 With everyone wearing Nike Cortezs, large earring hoops, and lowriding back to being the thing to do, you would think it was the ’90s all over again. 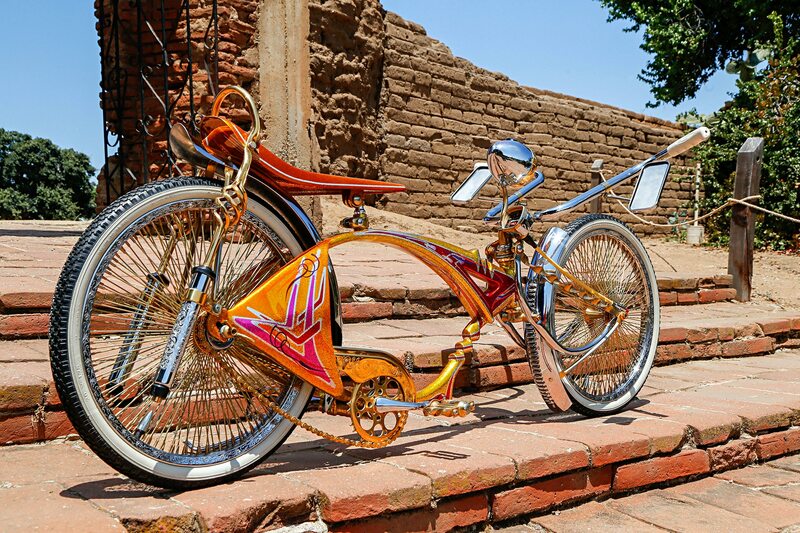 If you were around the car show scene during that time then you might remember seeing a very unique lowrider bike created by Glenn Pablo. 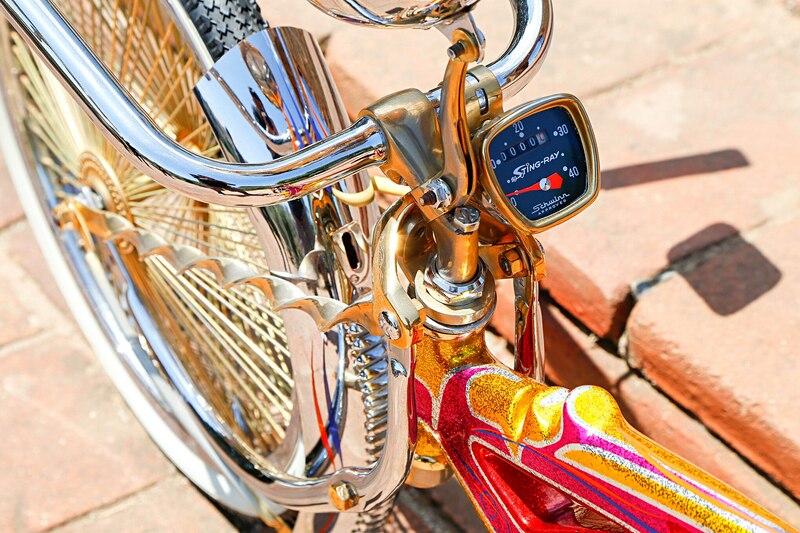 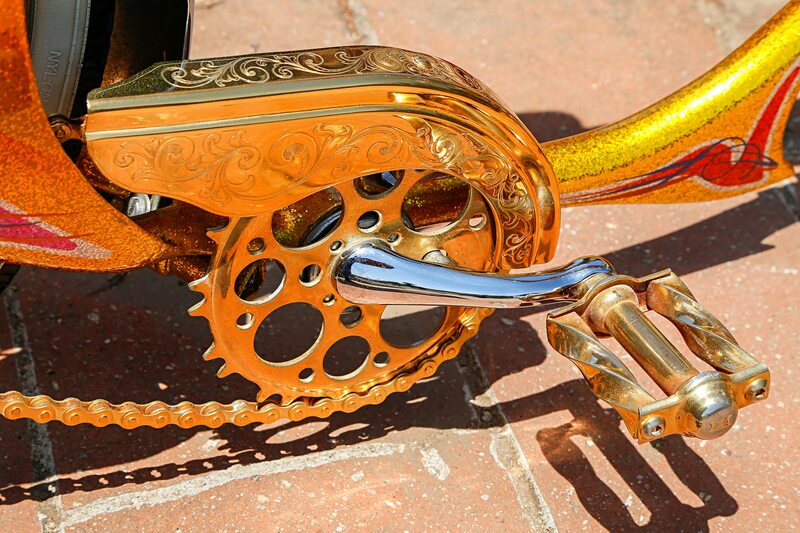 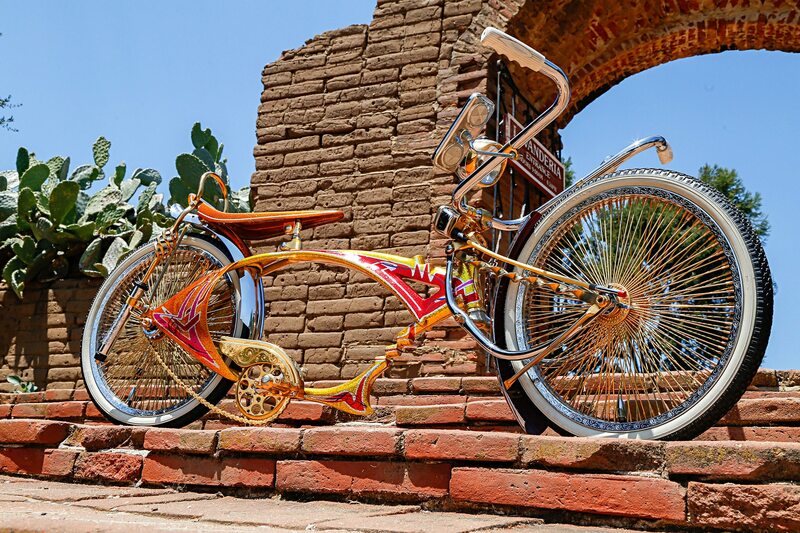 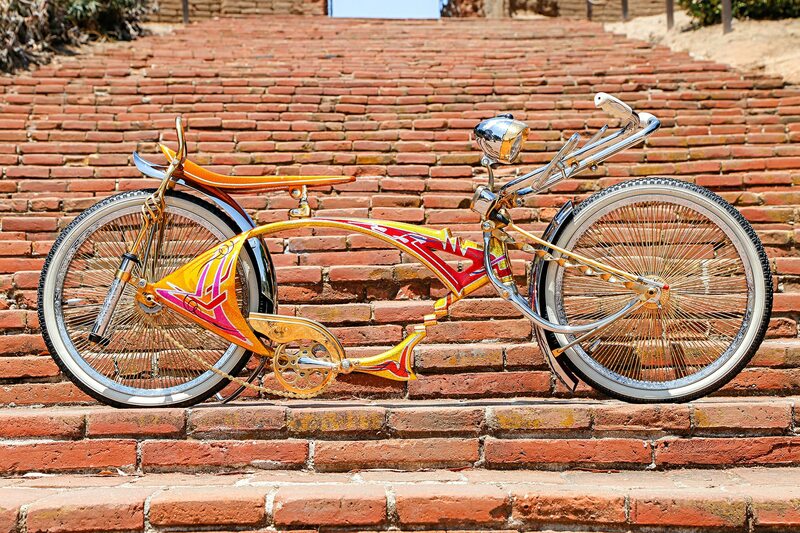 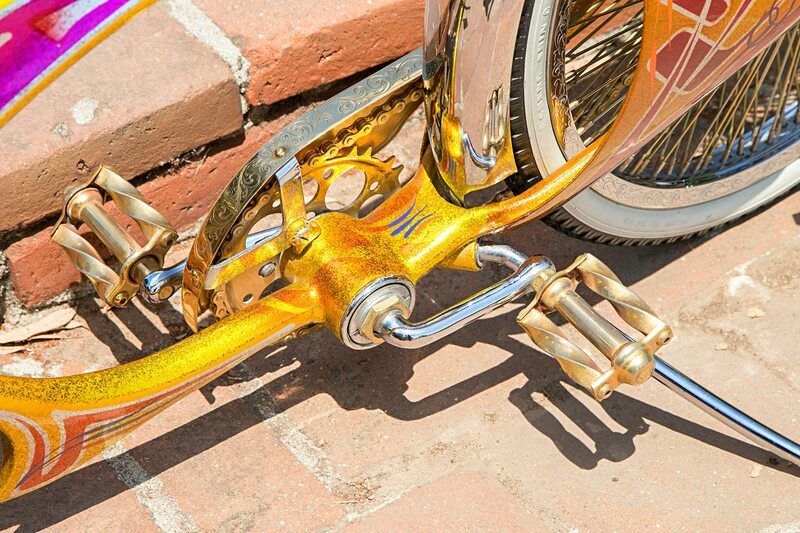 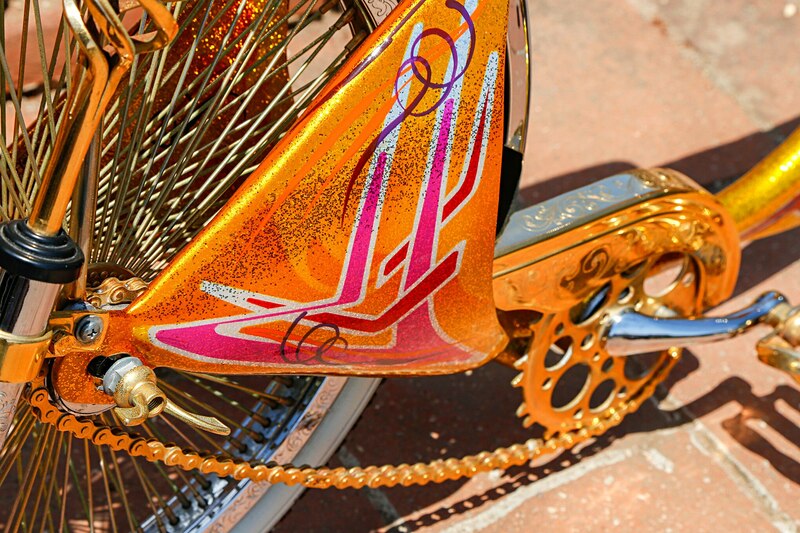 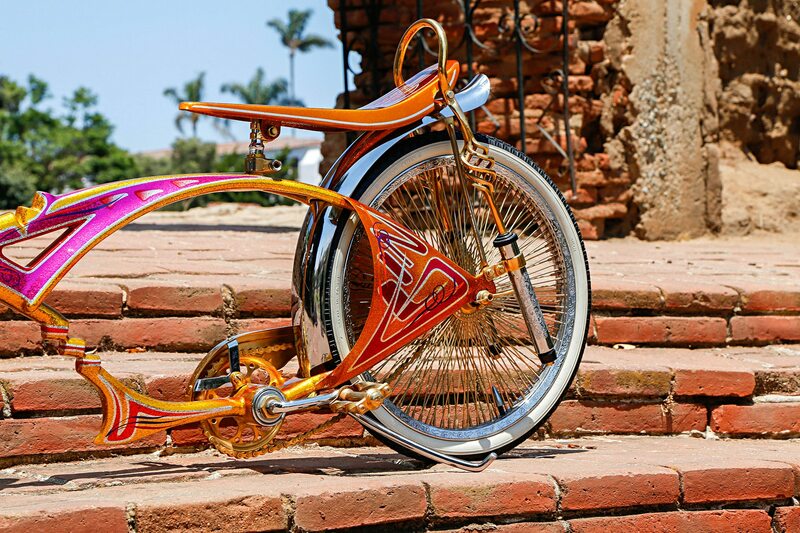 The bike he built became part of San Diego lowrider history and with a heavily flaked paint scheme that varied on each side, the bike is still remembered to this day. 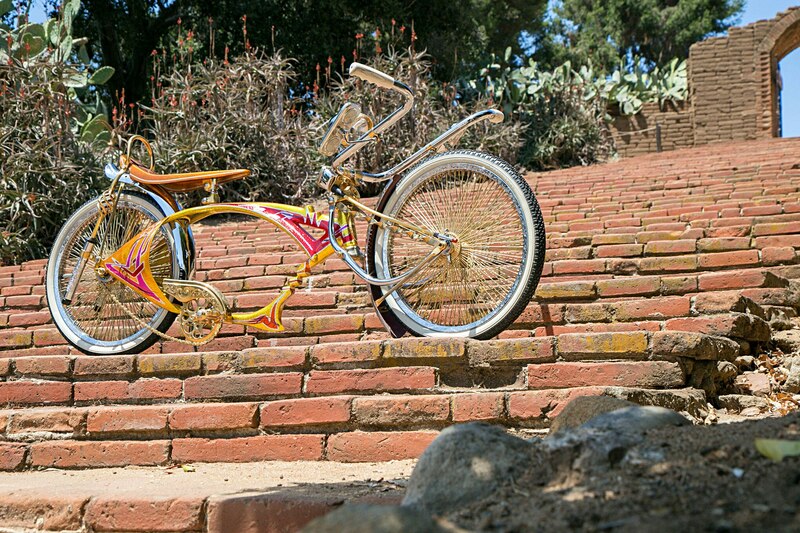 Much like the ’90s Pablo’s bike would eventually become just a memory, as it ended up in storage where it sat for over 15 years. 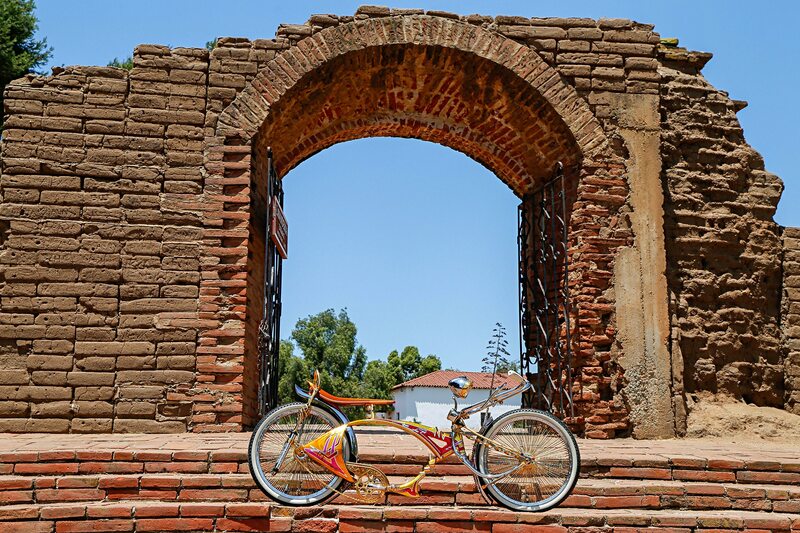 The bike would be poised for a comeback when a chance encounter with Amahury Mendoza and Pablo led to a deal to buy the bike and free it from the storage jail it had been captive in for so long. 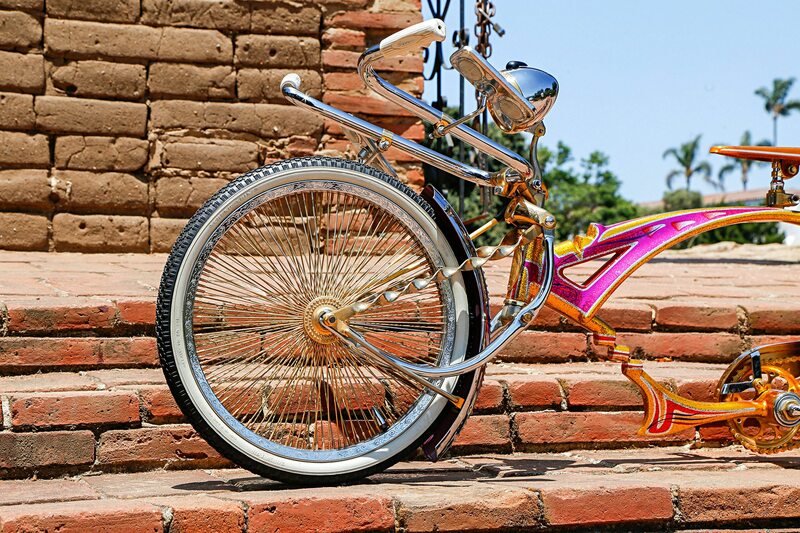 Amahury found out that the years had not been kind to the bike, but with a little TLC she could be returned to her glory days. 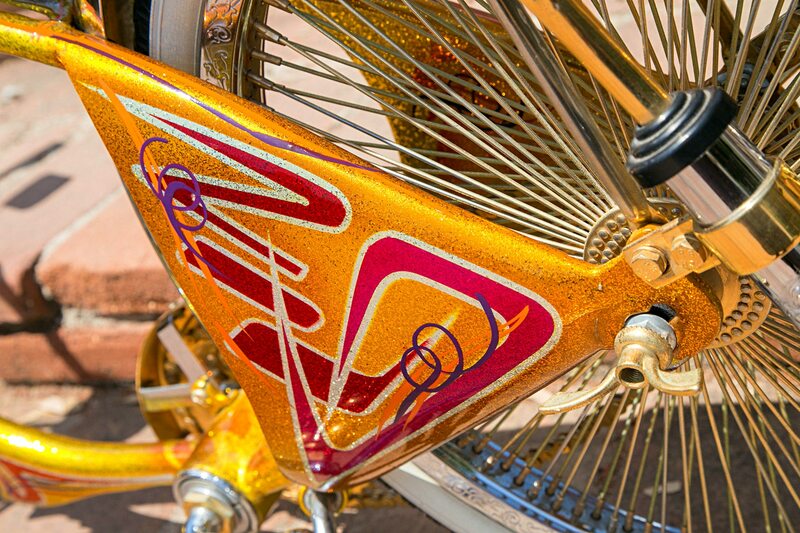 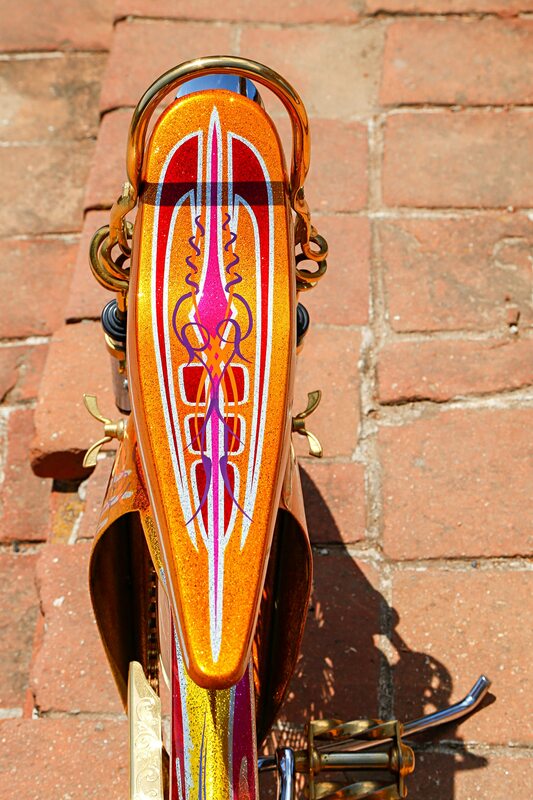 The bike already had a notched frame and kickstand, but the once-famous paint had to be redone. 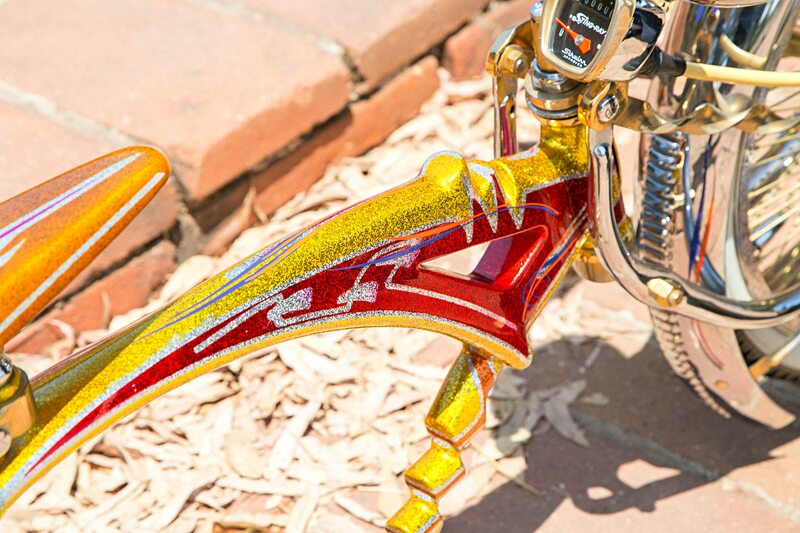 Having two different paintjobs presented some challenges, but they would do everything possible to replicate the original paint scheme. 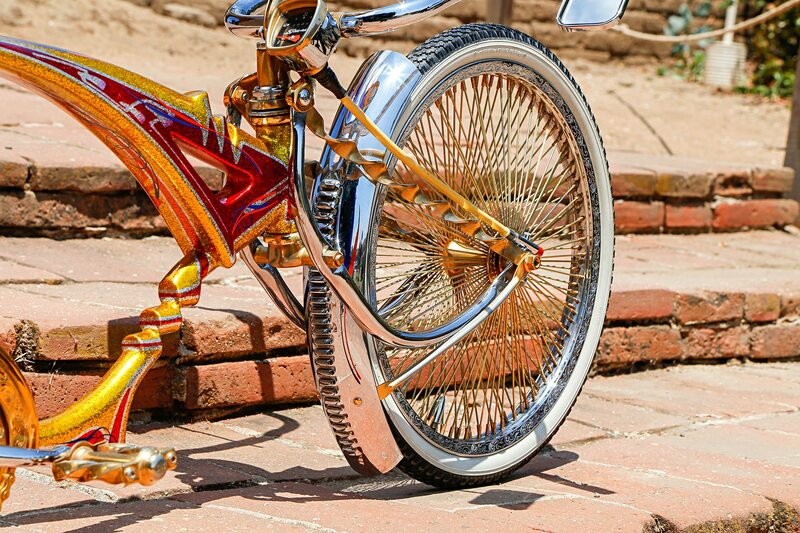 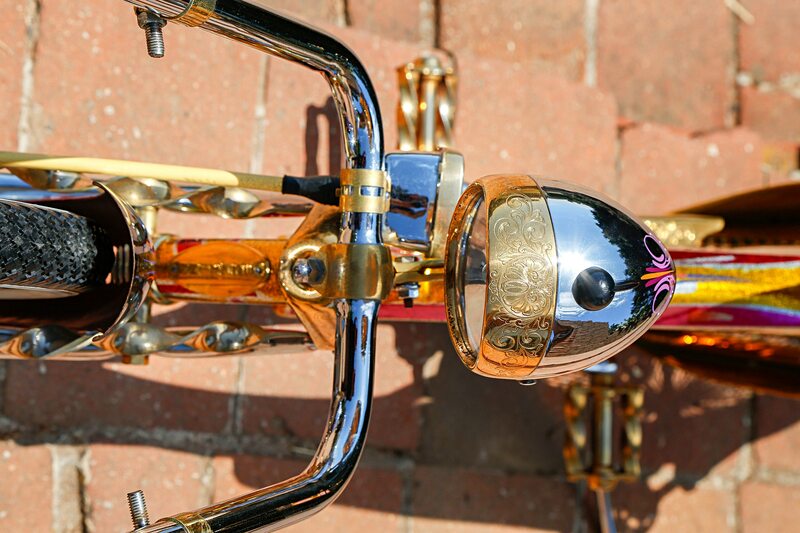 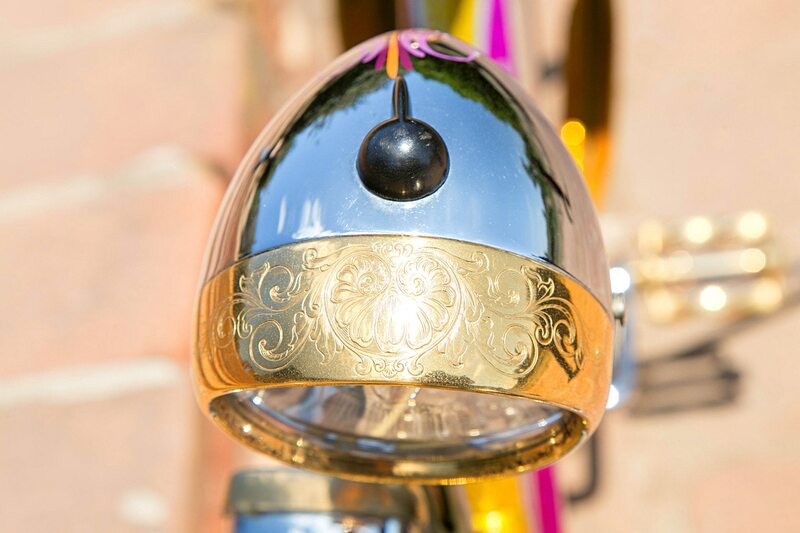 The bike received some upgrades; the chrome was re-plated, mirrors etched, pedals twisted, and engraving was added throughout. 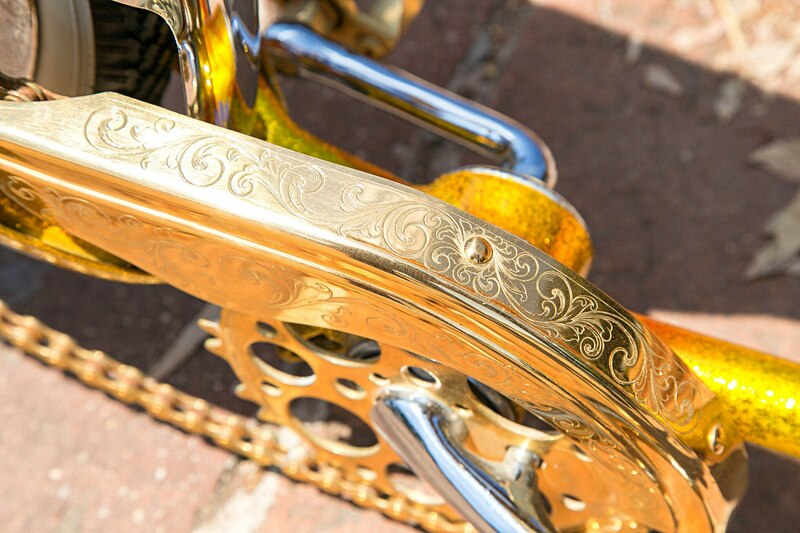 The final item on the list was a brand-new set of 144-spoke gold wire wheels, which were mounted onto a new set of whitewall tires. 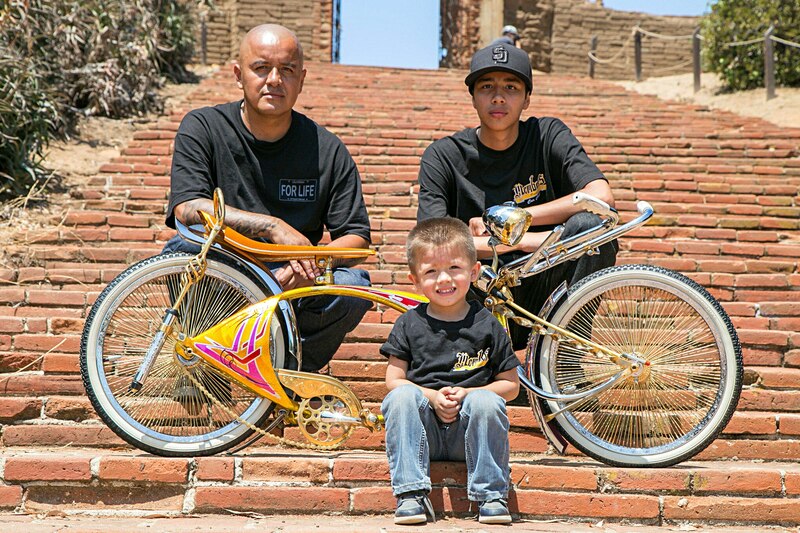 For Anthony “Chubbs” Mendoza, who is only 4 years old, this isn’t an old-school or throwback bike. 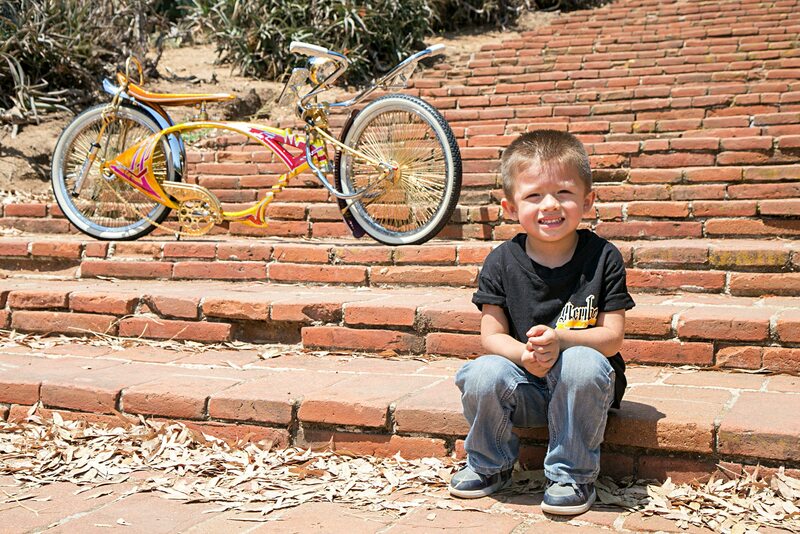 For this little guy, this is his bike, his phase, and his trend. 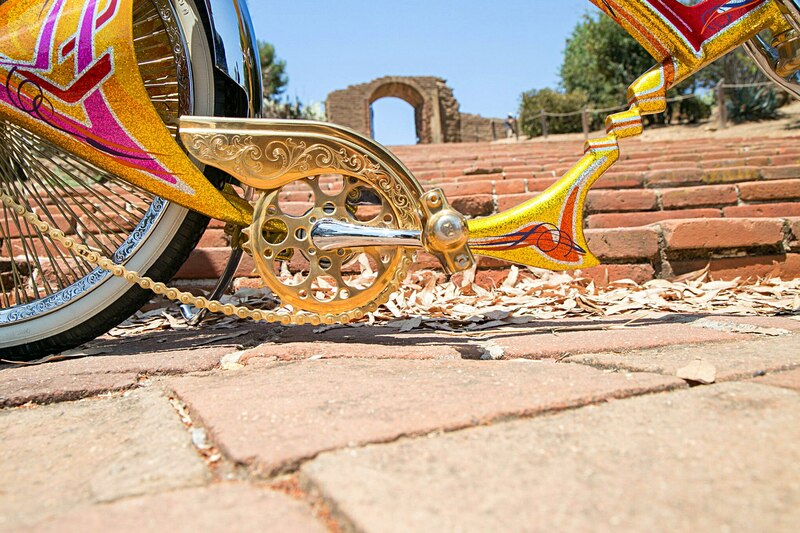 Who knows, years from now it might be someone else’s story to tell.